The global vinyl acetate monomer is projected to grow at a CAGR between 4.0% and 4.5% from 2017 to 2023 in terms of volume. Vinyl acetate monomer (VAM) is an organic compound produced by a vapour-phase acetoxylation process in a gas phase due to the reaction between acetic acid, ethylene, and oxygen, while having alumina palladium or silica palladium catalyst alongside gold as well as an alkali metal. Vinyl acetate monomer (VAM) is a crucial intermediate utilized in the production process of numerous polymers as well as resins for adhesives, coatings, films, textiles and some other end user products. Poly vinyl acetate is the major derivative of vinyl acetate monomer, which finds application as adhesives for industrial coatings, metal, paper, paints, wood, and others. Vinyl acetate monomer finds application in the production of polyvinyl alcohol, ethylene vinyl acetate, vinyl acetate ethylene, ethylene vinyl alcohol and other products. Poly vinyl acetate and poly vinyl alcohol accounts for most of the demand for vinyl acetate monomer. Ethylene vinyl alcohol has high demand from industries such as packaging, polymer, and plastic bottling. The robust demand for adhesives from industries such as construction, furniture, and packaging are expected to drive the vinyl acetate monomer market. The heavy demand from industries such as coatings and paints for vinyl acetate copolymers is expected to drive the vinyl acetate monomer market over the period of 2017 to 2023. Furthermore, the demand for more photovoltaic cells is expected to boost the growth of the market over the forecast period. Prospering shale gas industry is expected to escalate the growth of the vinyl acetate monomer market, as ethylene vinyl acetate is used for the increasing the output while drilling wider area. Due to the pollution associated with old technologies used in the production, the government regulations regarding health and environment in various countries are expected to be restraining factors in the global VAM market. Moreover, excessive production and the severe fluctuation in the cost of raw materials are expected to further restrain the growth of the market over the forecast period. However the impact of this factor is expected to remain moderate over the forecast period. The report segments the global vinyl acetate market by application and region. On the basis of application, the market is segmented as ethylene vinyl acetate, ethylene vinyl alcohol, poly vinyl acetate, poly vinyl alcohol and others. The report provides regional analysis covering geographies such as North America, Europe, Asia-Pacific, and Rest of the World (Including Latin America, Middle East and Africa). North America is the largest VAM market in the world. The significant increase in production of shale gas in US is expected to drive the North America market, as the shale gas industry requires vinyl acetate monomer to augment the production. Asia-Pacific region is the fastest growing market due to the high demand from industries such as coatings and paints in India and China. Moreover, the steady increase demand for photovoltaic cells in the region is expected to generate more requirements for ethylene vinyl acetate and hence provide opportunities for expansion for major players in the market. The demand for coatings and paints is expected to drive the growth of the Latin American vinyl acetate market during the forecast period. Large scale investments in solar industry in various emerging economies are expected to enhance the growth of the global vinyl acetate monomer market during the forecast period. The adoption of new environmental friendly technologies is expected to be a major challenge for the major players in the vinyl acetate market, during the forecast period. The report provides deep insights on demand forecasts, market trends and micro and macro indicators. In addition, this report provides insights on the factors that are driving and restraining the demand of vinyl acetate monomer globally as well as regionally. Moreover, IGR-Growth Matrix analysis given in the report brings an insight on the investment areas that existing or new market players can consider. The report provides insights into the market using analytical tools such as Porter’s five forces analysis and value chain analysis of vinyl acetate monomer market. Moreover, the study highlights current market trends and provides forecast from 2017 to 2023. 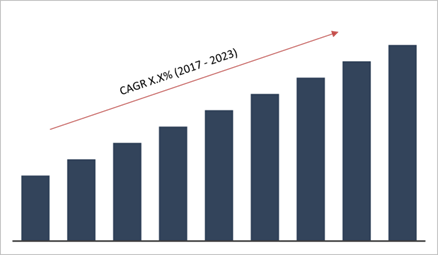 We also have highlighted future trends in the vinyl acetate monomer market that will impact the demand during the forecast period. Moreover, the competitive analysis given in each regional market brings an insight on the market share of the leading players. Additionally, the analysis highlights rise and fall in the market shares of the key players in the market. This report will help manufacturers, suppliers and distributors of the vinyl acetate monomer market to understand the present and future trends in this market and formulate their strategies accordingly.